The first comprehensive review of the AMEB Piano syllabus since 2008, featuring fully revised Manual Lists and Technical work, and a new suite of publications including Series 18 grade books, handbooks and recordings, separate Technical work books for Level 1 (Preliminary to Grade 4) and Level 2 (Grade 5 to Grade 8), and a Sight-reading book (Preliminary to Grade 8). 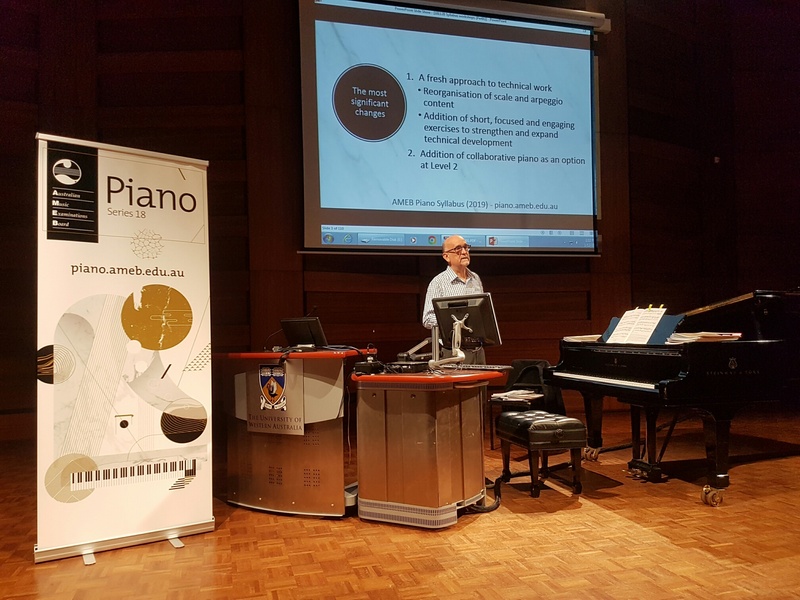 In November 2018 AMEB, Australia’s leading provider of examinations for music, speech and drama, will launch a fully revised Piano Syllabus for examination from 2019 along with a suite of educational resources. Examinations from beginner Preliminary level through to pre-professional diploma level will be offered. The new publications include Series 18 grade books, handbooks and recordings from Preliminary through to Grade 8, a Technical work book in two volumes – Level 1 (Preliminary to Grade 4) and Level 2 (Grade 5 to Grade 8), and a Sight-reading book covering Preliminary through to Grade 8. It is essential that AMEB syllabuses remain current and in line with international best practice in music pedagogy. The periodic revision of all aspects of our syllabuses is instrumental in achieving this, and is the best way for us to ensure that our syllabuses feature the best new piano works and publications available. Who created the new syllabus and publications? AMEB engaged a team of specialists from around the country, led by Principal Consultant David Lockett, to help guide the syllabus revision process. Contributors include Angela Turner (Level 1), Helen Smith (Level 2), Glenn Riddle (Level 3) and Jeanell Carrigan (Collaborative piano). Contains detailed analyses of all works from the corresponding grade book alongside a wealth of information about the historical, biographical and interpretative elements of each piece. Complete with a glossary of key terms, this Handbook helps students address the Section III General Knowledge requirements of examinations. Please note this product does not contain a CD recordings of the works – Series 18 recordings are sold separately. 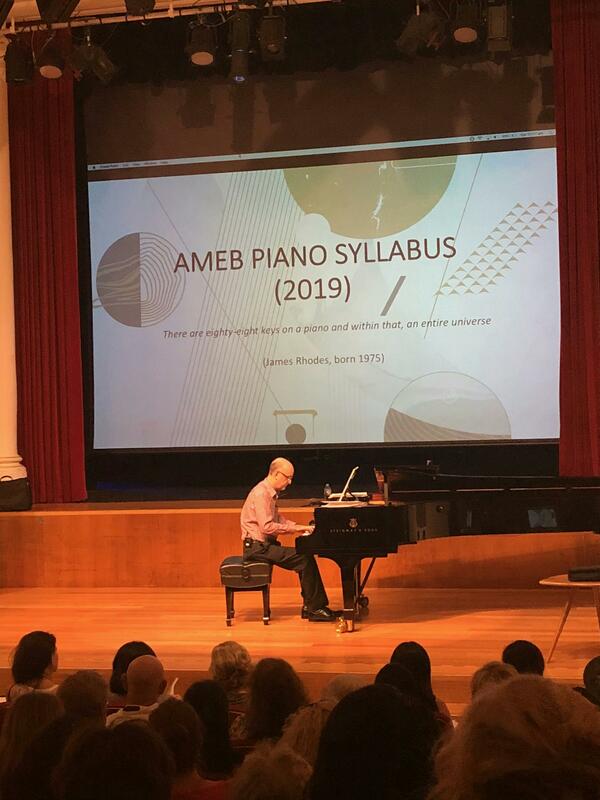 Contains all of the technical work required by the AMEB Piano (2019) syllabus for examination. The Technical work books are available in separate volumes for Level 1 (Preliminary to Grade 4) and Level 2 (Grade 5 to Grade 8). Both books feature fully-notated scales, chord progressions, arpeggios and technical exercises in a logical and convenient layout. 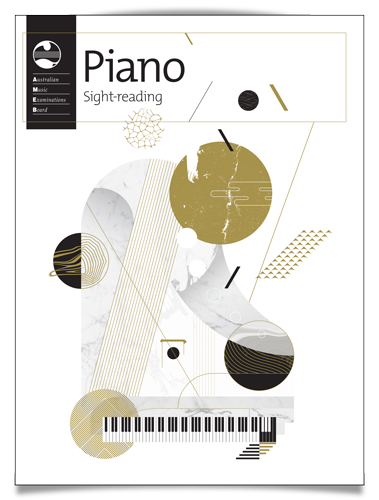 A structured course in the development of sight-reading for Pianists containing examples of the kind of sight-reading material candidates may encounter in examinations from Preliminary to Grade 8. This is the AMEB’s first comprehensive review of our Piano syllabus since 2008. 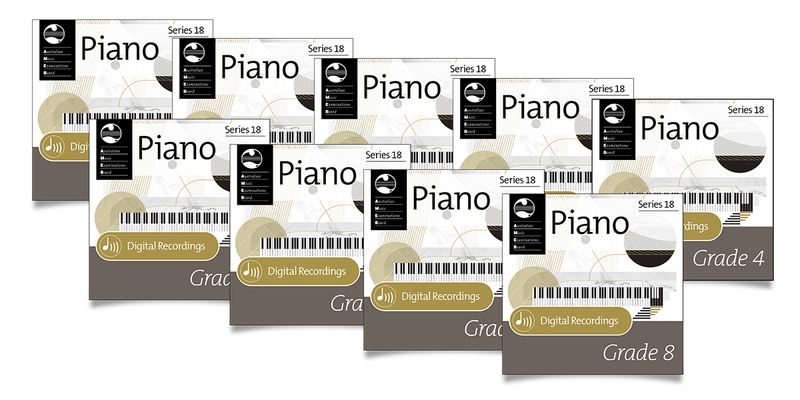 We have fully revised the Manual lists and Technical work, and have released a full suite of educational resources, including the new Series 18 grade books, in order to keep AMEB at the forefront of Piano education and in line with international best practice. 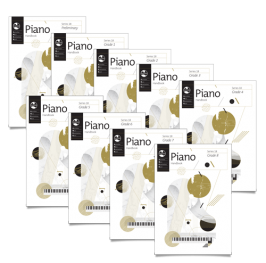 We hope that the new syllabus and resources prove useful for teachers and students at all levels, with a fresh new perspective on aspects of piano education that is stimulating and inspiring for all syllabus users. The Series 18 grade books (Preliminary to Grade 8) present a range of appealing and pedagogically valuable repertoire at each grade level, with Australian compositions featured in every book. Grade books are a cost-effective way of obtaining a range of graded repertoire for study and examination in the one volume. 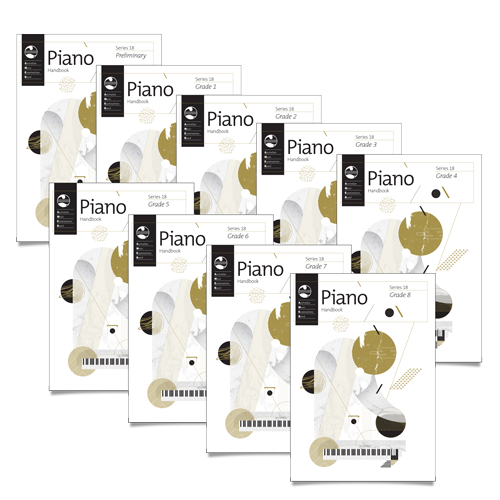 The Series 18 grade books, along with the Series 17 grade books published previously, supplement the fully-revised Manual lists on the new Piano (2019) syllabus. AMEB has produced a series of professional recordings of all grade book repertoire as a resource for syllabus users. These recordings are by top Australian artists and will be a source of inspiration for teachers and candidates alike. The AMEB Series 18 recordings will be available online from digital music retailers mid December 2018. 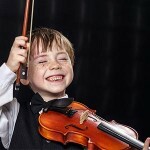 Students will be asked to perform Technical work and Sight-reading in most grade examinations. The Technical work consists of scales, chord progressions and arpeggios alongside custom-composed technical exercises. 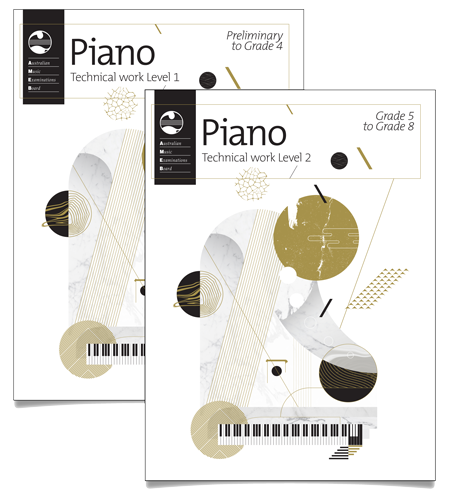 All of the technical work is detailed in the AMEB Piano Technical work (2018) books, comprising separate volumes for Level 1 (Preliminary to Grade 4) and Level 2 (Grade 5 to Grade 8). Teachers and students may also be interested in the new Sight-reading (2018) book, which contains over 120 examples of sight-reading (Preliminary to Grade 8), similar to that likely to be encountered in examination. 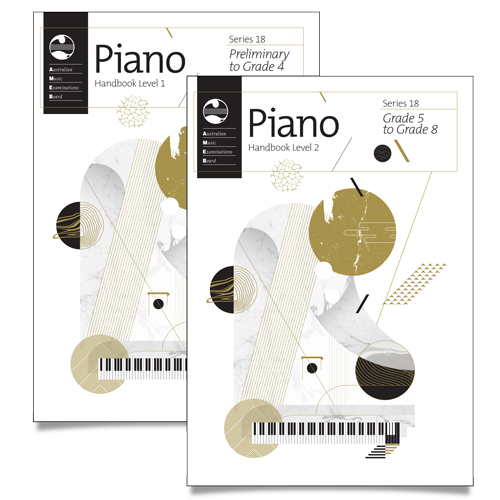 From 2019, Piano candidates for Grade 5 to Grade 8 may choose to present for a collaborative piano exam. Taking this new collaborative option allows candidates to demonstrate ensemble skills by presenting works with an associate artist as part of the repertoire requirements (Section II) for the grade. All requirements for these exams are detailed in the 2019 Manual of Syllabuses. Click here to download David Lockett’s piano workshop presentation slide summary. Bookings are essential via TryBooking. Bookings are essential via this form. Registration is essential via this form. 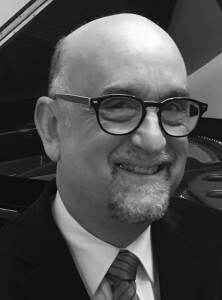 David Lockett’s career has included concerts and master classes on four continents, recordings for CD, radio and television, publications in the areas of pedagogy and musicology and more than four decades of university teaching. He has performed a vast repertoire of concerti, solo works, chamber music and instrumental duos. 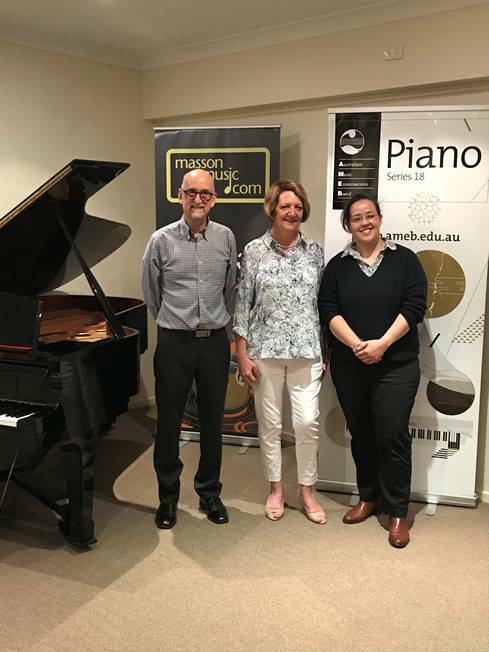 A long-standing interest in the music of Australian composers resulted in an ABC Classics CD and a published edition of Margaret Sutherland’s piano music, together with more than forty première performances of newly composed works. His awards have included a Stephen Cole the Elder prize for excellence in teaching at the University of Adelaide and a CD of the Year nomination in the Australian Music Centre/APRA Music Awards. 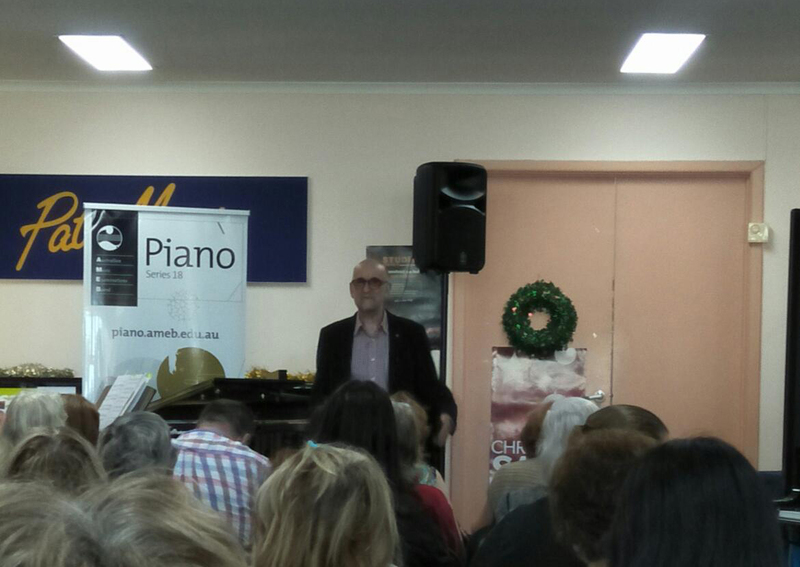 He is a Patron of the Music Teachers’ Association of South Australia, a Vice-Patron of the Adelaide Eisteddfod Society and a member of the international advisory board of the Piano Teachers’ National Association of Japan. 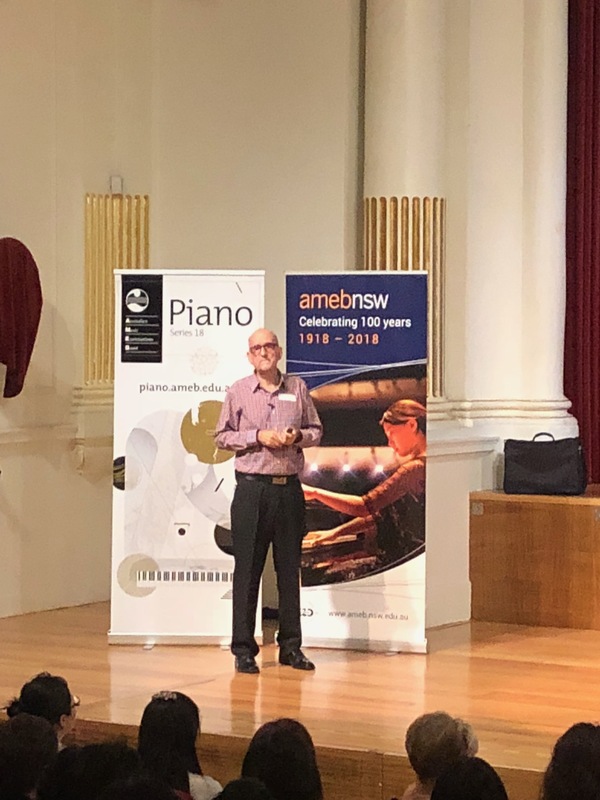 He has adjudicated competitions in Australia, Japan and the United Kingdom and is Chief Examiner (Practical) for the Australian Music Examinations Board (AMEB), overseeing the Licentiate and Fellowship performance diplomas. 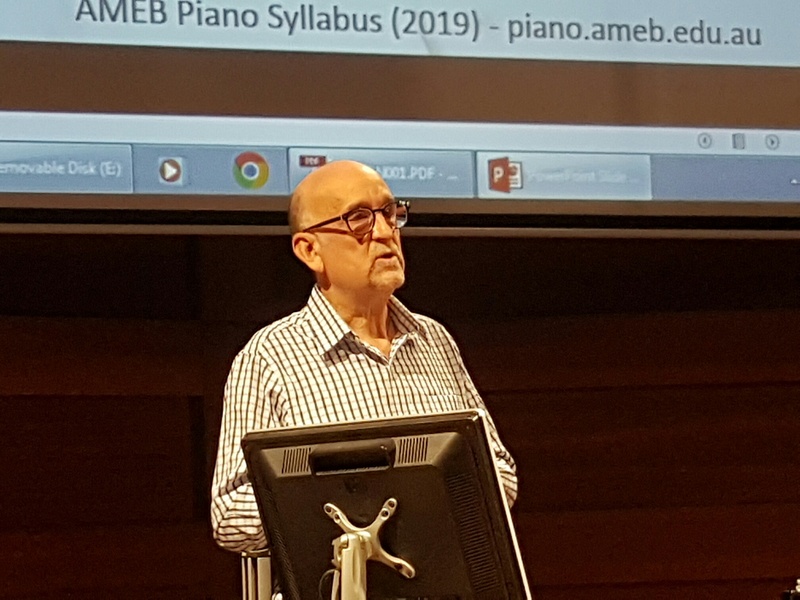 He compiled and edited the AMEB’s Series 17 piano publications and was Principal Syllabus Consultant for the development of the Board’s new piano syllabus, to be introduced in 2019. David Lockett was Director of the Elder Conservatorium of Music at the University of Adelaide for a total of seven years and now carries the title of Emeritus Professor. He is a Member of the Order of Australia (AM), an honour that was awarded for for “service to music as a concert pianist, educator and researcher, and as an advocate and supporter of Australian music and composers”. Read David’s speech from the Piano Syllabus Launch at MONA, November 15th 2018. 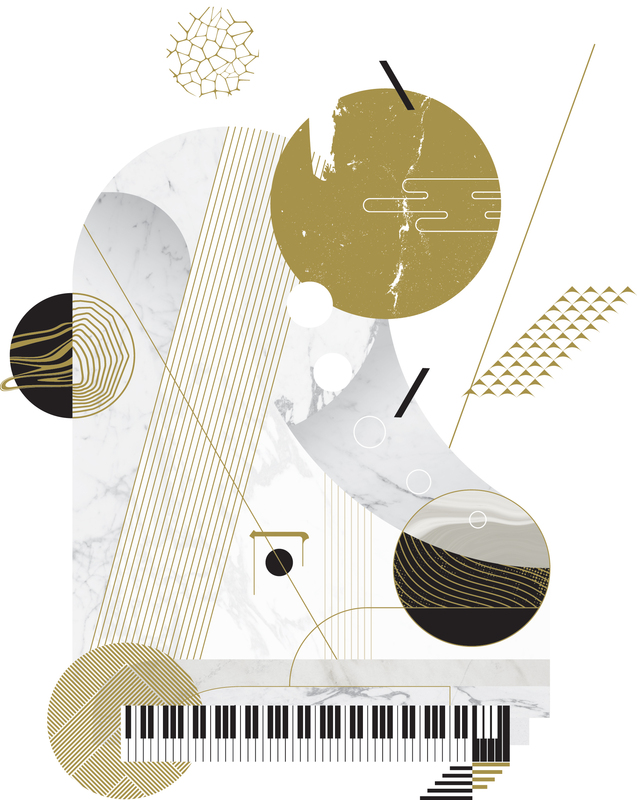 What do teachers and candidates need to know for the two-year transition period following the release of the new Piano (2019) Syllabus in November? The OLD syllabus features the Series 15, 16 and 17 grade books. The NEW syllabus features Series 17 and Series 18 grade books: Series 15 and 16 grade books are NOT listed on the NEW syllabus – they can be used with the OLD syllabus only. Similarly, Series 18 can not be used with the OLD syllabus. The older (2008) Technical work can only be presented with the OLD syllabus and the new Technical work (2018) can only be presented with the new syllabus. The Technical work for the new syllabus is not printed in the Manual of syllabuses – full details of the new technical work are found in the Technical work (2018) Level 1 and Level 2 books. The Manual List pieces in the NEW 2019 syllabus and the OLD syllabus cannot be interchanged – there will be the usual downgrading applied to examinations in which Manual List pieces are presented from wrong syllabus. Pieces from the NEW 2019 syllabus (including from Series 18) CAN be used as Extra Lists when taking an examination using the OLD syllabus – this is because the Extra List component of an examination requires pieces which have an ’educational value similar to that already prescribed in the syllabus. For example, candidates might wish to present another work from the syllabus, the current grade book, or earlier editions of grade books. The candidate may present a work of educational value similar to those sited in the syllabus from a source other than those listed above’ (p xii 2018 Manual of Syllabuses, AMEB). Candidates will be able to choose either the OLD or NEW syllabus and this must be indicated when entering the candidates. No mixing of the OLD and NEW syllabuses is permitted. From 2021 onwards, only the NEW 2019 syllabus will be examined. ‘Reviewing the AMEB Piano Syllabus’ by syllabus consultant Angela Turner in Hal Leonard’s The Piano Teacher. Read the full article here. Subscribe for updates, and be amongst the first to receive news about AMEB Pianoreleases, promotions and events. AMEB is Australia’s leading provider of exams in music, speech & drama. The AMEB offers high quality syllabuses, educative services to our teachers, examiners and candidates, and quality publications to the highest editorial standard. The AMEB standards and accreditations are recognised professionally not only within Australia but also overseas, where it is one of the most respected bodies in this field. 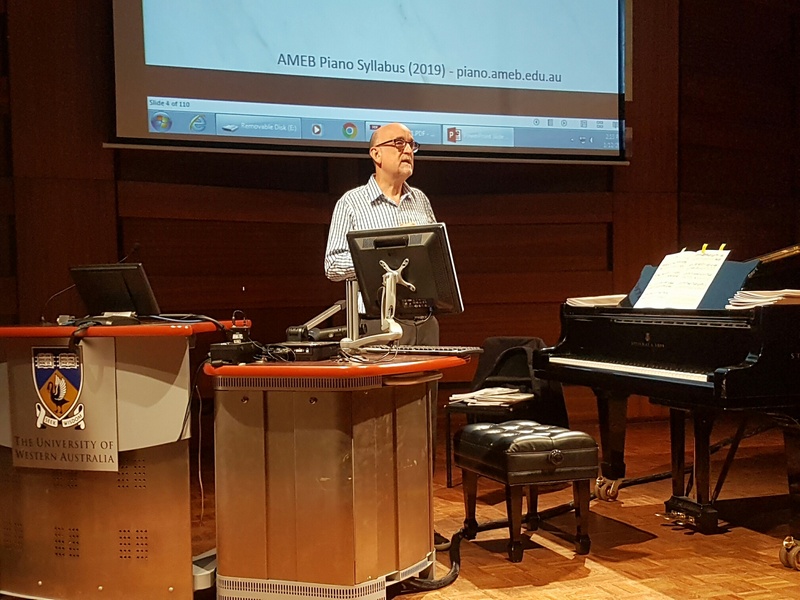 AMEB examinations are based on syllabuses designed by leading scholars and performers, regularly updated to ensure that they reflect an appropriate range of performance skills and the latest musicological research. The content of these syllabuses is, wherever practical, published in affordable editions, ensuring that the cost to students of acquiring a full range of the set pieces is as simple and inexpensive as possible.